Learn about upcoming and past events at Meridian! There's never a dull moment at Meridian. When we're not busy in your office, we invite you to ours. We have annual open houses and lunchtime workshops promoting the latest technologies and trends encompassing document and network management. As a Gold Sponsor, Meridian will join fellow Konica Minolta companies, QAI and DocPoint Solutions, for their 9th annual user conference. This year’s event will provide a unique, educational and fun experience. 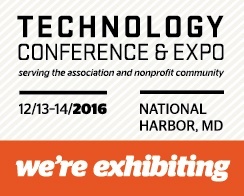 Hear from industry experts on the latest in content management, check out the newest technology solutions, and network with 300 of your peers and colleagues. This is one conference you don’t want to miss! 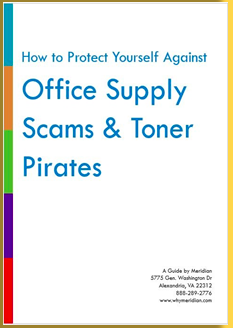 Office supply scams are widespread and relatively common, yet many organizations still don't know that they exist, much less how to identify and avoid them. This guide outlines the information you need to protect your business from this common scam. Free Workbook: Is Document Management Right for Your Business? See how you would benefit from features of Document Management Systems.